Open round basket with swing handle. There are four rows of cane woven into this transitional Native American (Nantucket) style basket. 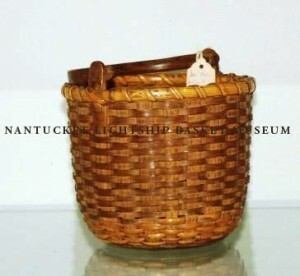 The basket was once part of the Edgar & Katherine Seeler collection, as indicated in plate # 11 in the book “Nantucket Lightship Baskets,” by Katherine and Edgar Seeler.